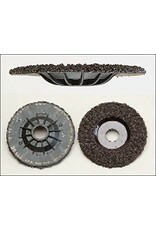 ZEC Plastic does not require any support and it is fitted directly on the hand grinding machine. It complies with the safety requirements according to the European Standard EN 13743. 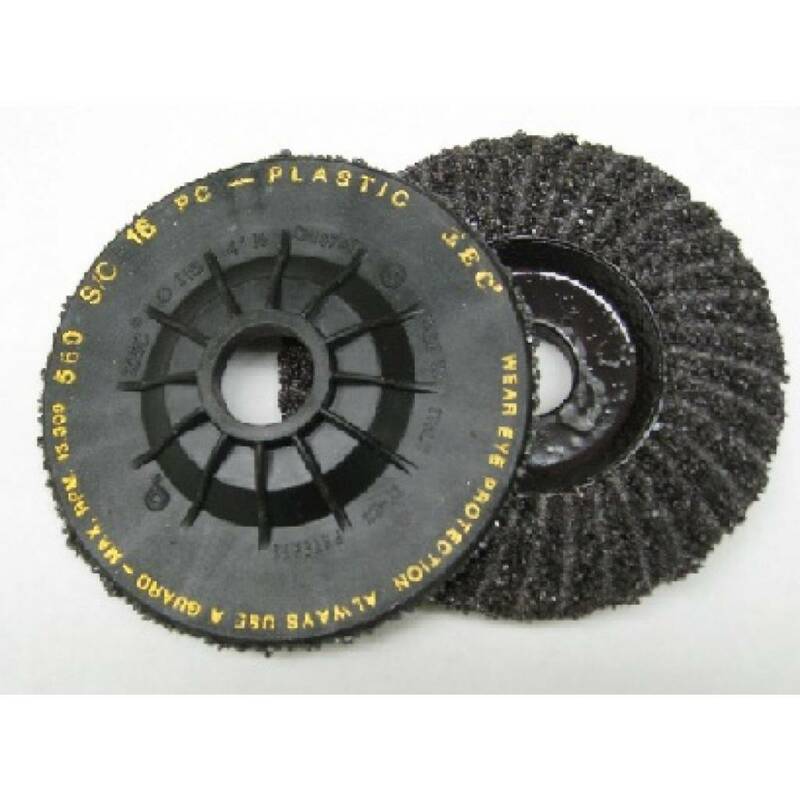 Very high grinding speed in comparison with the grinding wheel and, at the same time, finishing of the work piece due to its special flexibility. The flexibility that is gradually obtained by the disc during the working process, allows to deaden the vibrations that are normally brought about by grinding wheels: this reduces the operator's labour while ensuring an outstanding performance. 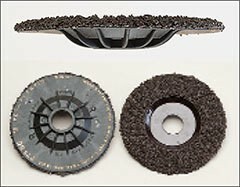 Scraps ejected through the perforated holes avoid loading of the disc and, at the same time, prevent the work piece from overheating. 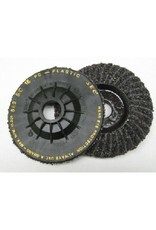 ZEC Plastic discs are waterproof and can be used wet and underwater.